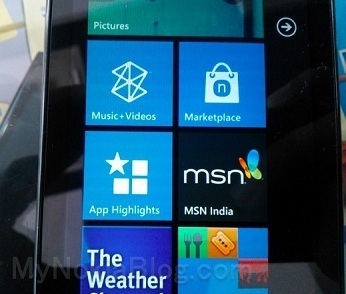 A reader of MNB sent in a few pictures wherein a Nokia Lumia 710 from India is said to be running on Windows Phone 7.5 Tango or Windows Phone refresh. So is the Tango update already rolling out in India for the 710? Seems so! 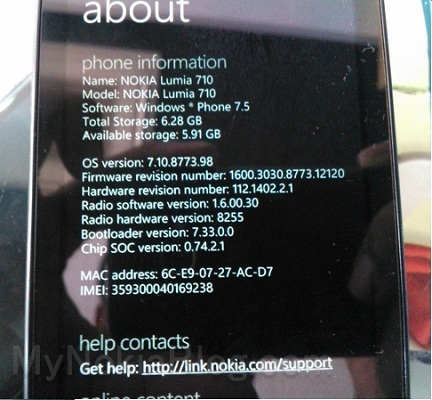 The Lumia 710 is running on the firmware 7.10.8773 which confirms the Tango/Refresh OS over the device. 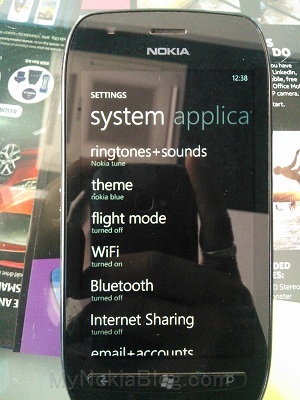 Check out the Internet Sharing option which is available in the Lumia 710 with the Tango update and also the new Nokia branded Windows Phone Marketplace in the picture below. We personally canot confirm about the update roll out, but if you own a Nokia Lumia 710, then shoot up the Zune updater and see if you have got a notification waiting for you or not and let us know in the comments section below.